Tofte takes its name from the town of Toftevaage, Norway, the birthplace of brothers John and Andrew Tofte and Hans and Torget Engelson, who took up housing in abandoned homesteads after arriving there on the steamer Dixon on May 12, 1893. (They had first named the town “Carlton” for nearby Carlton Peak, but that name was already in use.) The Norwegians logged, farmed, and mostly fished to earn their keep. A forest fire raged through the town in 1910, destroying most of the structures (they were later rebuilt). The town’s fishing heritage made it a natural location for the North Shore Commercial Fishing Museum. 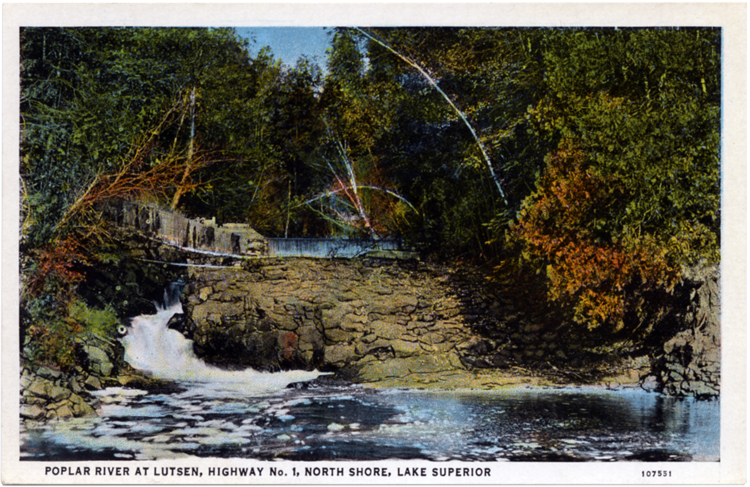 It was a Swedish, not Norwegian, immigrant who settled Lutsen, Cook County’s third permanent settlement (only Grand Portage and Grand Marais preceded it). Carl Axel “Charlie” Nelson (born in Norkoping, Ostergotland, Sweden, in 1863) came to the United States when he was eighteen, eventually finding work in Duluth on the fishing tug Evaston. After toying with the idea of working with Alfred Merritt on the Arrowhead’s iron range, he contracted with the A. Booth Company to set up a fishery, which he established near the Poplar River. The Poplar River—at whose mouth was found the Charlie Nelson’s homestead—takes its Anglicized name directly from the Ojibwe name, Gamanazadikizibi or “Place-of-Poplars River.” The Poplar is perhaps best known as the site of Nelson’s Lutsen Resort, which he first called “Lutzen House” when he began hosting hunters, anglers, and occasionally those who suffered from hay fever or tuberculosis starting around 1900. Today the area includes the resort’s Swedish lodge (designed by Edwin Lundie in 1952), Lutsen Mountain ski hill (opened in 1948), and a golf course laid out along the Poplar’s banks.